I have a rule when I walk with Ellie. That rule is: Do not answer the phone. I’m not always conscious of following my own rules. Yesterday was no exception. While C.C. was resting from the procedure that removed a cancerous lesion on his forehead, I decided I needed to clear my head, restore my balance and find my centre. The best way I know to do that is to get out into nature so, Ellie the Wonder Pooch and I headed off to our favourite walking trail. It was a gorgeous spring day. A slight breeze blew in from the west where the Rockies lined the horizon, their snow covered ridges a sleeping dinosaur’s razor edged back separating earth from the blue sky above. Birds sang and squirrels skittered along tree branches. Ellie, whose age no longer allows for a fast pace or off leash running, toddled beside me, eagerly sniffing spring scents in every blade of grass. We walked westward along the ridge that parallels the river below that flows in from the Rockies in the distance. Patches of ice and snow still clung to its banks in tucked away places and behind us, the centre of the reservoir was a giant island of ice surrounded by still dark waters that had freed themselves from winter’s grip. Ellie and I sat on the ridge. I breathed in the fresh air, the sounds and scents. Ellie snuffled about in the grasses then lay down beside me for a bit before getting up to sniff some more. She knows this spot well. It is where we always stop. It is where I meditate, legs crossed, face slightly uplifted to feel the air against my skin. Ellie is not that impressed with meditation. It bores her to sit still and mostly she rolls in the grass, nudges my leg with her nose, wanders off to check out a new scent. It is our ritual. Our ‘thing’. We both like it. As I sat and let my mind rest, I felt the tension easing. C.C.’s results from the surgery are good. The doctor removed all the cancerous cells and is satisfied — he got it all. Of course, the critter mind would like to play in that field. Stir that pot. Create fear where none need tread. I don’t let him. I breathe into what I know. The doctor removed all the cancerous cells. Finally, after a short ten minutes of silent contemplation, I give into her exhortations and stand up again. She is delighted. She also knows there’s a treat in my pocket and butts her head up against my thigh. Okay. Okay, I laugh and give her a treat. And then, as we walk eastward, back towards the main trail, my phone rings. I promised my daughters long ago that I would always carry my phone on my solitary walks. Mostly I remember. I promised myself long ago that if my phone rang while I was on my walk, I wouldn’t answer it. Mostly I remember. Yesterday, I forgot. Well, not so much forgot as checked the caller ID and saw it was a girlfriend I’ve been wanting to talk to. “What stabbing?” I asked while my mind leaped into high gear. Another stabbing? Haven’t we had all the stabbings we can take? I thanked my friend for her words of caution and hung up. Now, I have run and walked through the woods, along the escarpment, into all the nooks and crannies along the river in this park for years. Years. I have never felt scared in my aloneness. The sunny blissfulness of my walk started to slip. I felt fear nipping away at my peace of mind. I am not letting fear take over. I breathed and reminded myself that nothing had really changed in the past few minutes other than a piece of information I didn’t know about before I started my walk. It was that piece of information that was playing tricks with my peace of mind, not the reality of my experience right now. Ahhhh…. there’s that stinkin’ thinkin’ again. Take an isolated incident. Move it onto centre stage, maybe even run it up a flagpole and dance around it in excited anticipation of the havoc it will wreak. Fortunately, I couldn’t pick up my pace. Ellie’s lumbering body and arthritis won’t allow it. We trundled along the path. I spied several patches of crocus pushing up through the ground. A flock of Canada Geese flew over head, their honks filling the air. A gopher raced across the trail in front of us. Ellie tugged on her leash as if to give chase. I settled her down and peace returned. And when I got home, I checked my computer to see if my friend’s words were true. Yes. There had been a stabbing the night before. The police had one person in custody. They were not looking for any other suspects. There were no random attackers running wild through the woods. No marauders lurking. It was just the critter trying to steal my peace of mind. I won’t let him. And next time, I will follow my own rule. I will not answer my phone while on my walk. In fact, I’ll just turn it to silent and let peace of mind have its way with me! AMAZING post, Louise. Thank you. 🙂 Thanks Ann! You super hero in all ways you! Great post .I completely agree . We need our peace of mind to take lead . ” Fear” and “stinking thinking” are definitely joy spoilers of our life . I do experience these feelings quite often and try to fight them. I am one of the highest GPA achiever of my class and has been awarded scholarship from time to time . But ” Fear” and “stinking thinking” have hindered my happiness on different occasions . That stupid voice in my head tried to convince me that I am not good enough , I should not be getting all these good grades and scholarship . Stupid Stupid voice !!! . 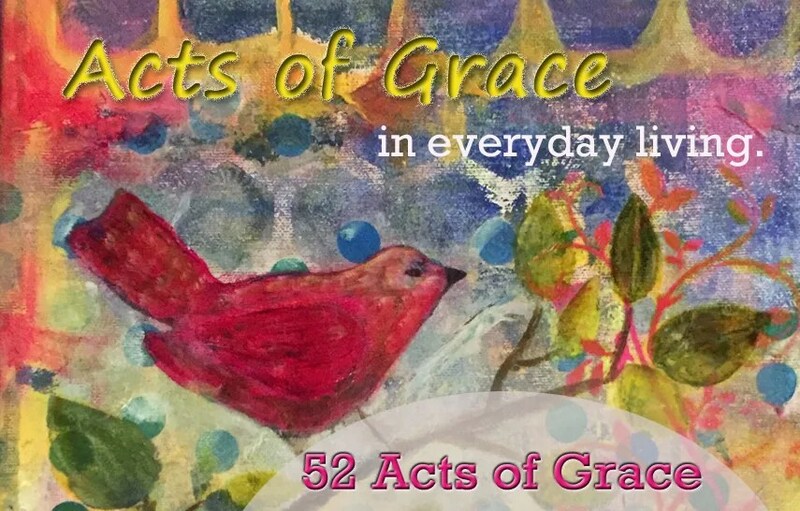 I have recently been awarded another scholarship and I am going to turn off that voice ( mute it ) and enjoy the blessings and good things I am given , share this good news and time with people I love . Fearing the unknown future is just going to ruin everything . MK, what a brilliant comment — and congratulations on your scholarship — and your decision to turn off the ‘stinkin’ thinkin’! Yeah!!!!! 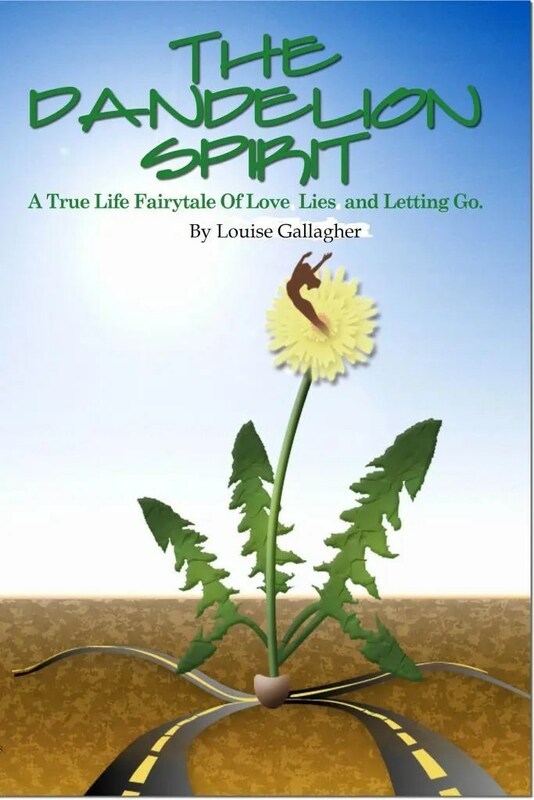 So thought-provoking, Louise – your life is an adventure and I am in awe of your spirit. Thanks my friend! Hope you’re well. I love middle ground moments with Ellie Val — I thank you for the middle ground inspiration on your blog! Loved it. That’s the way to fight the demons of MSU! (Making Sh..tuff Up)! Love the MSU! Thanks Ian. Hahaha! Yes! We can only imagine what those revelations might be! Have a super weekend…hope you get to explore more of nature! The bad news will catch up to you regardless. Take some time for those solitary walks — which aren’t solitary if accompanied by a dog! So true Lisa — she is such an amazing and loving companion. Wonderful reflections. Your heart speaks to me through tales of your time in nature, rantings of the critter, and illusory fears exposed. Yup. We’re both human! LOL — I love sharing this human experience with you! Thx. The news and the general populace are so fond of drama and bad news and staying in fear — it takes a lot of reminding myself to stay in my center; where I know the universe is taking care. Thanks for the reminder to breathe and look in for peace. It is hard isn’t it Leigh — to balance drama, news and staying out of fear — challenge is, sometimes it feels like it’s designed to keep us ‘in fear’ as you say. I really like how you call it — look in for peace. Very very nice. Thank you! Thanks Gina — someone shared on FB a video of snowmobilers chasing a moose only to have the moose stop and turn on them. What stunned me was when the woman said on camera to her husband who was trying to evade the moose, “I’m trying to get my gun out.” Fortunately, they only fired a warning shot into the air with the tiny pistol she was carrying, but it saddened me to think an excursion into nature was accompanied by a gun. I can’t imagine how having a gun on me would create a sense of peace — it was a reminder for me that to walk in peace I need only be armed with my prayers. Louise – I heard that story today … what also threw me was that they were chasing a moose in their snowmobile. Chasing an animal who was probably scared to death. Really?!? !… Now that’s connecting with nature ?!? !